Ma’am, Are You Over Eighteen? An interesting event of love took place on June 25, 1940. During the summer of 1940 two people, who were madly in love with each other, decided to get married at their county courthouse in Cleveland, Mississippi. He was the poor son of a farmer, and her father did not want them to marry. But as love would prevail the two were married 66 years ago. In 1940, couples were not allowed to marry unless both individuals were eighteen years of age or older. If either one of the two were less than eighteen years of age, parental consent was required before the two could be married. These two love birds had a problem. She was seventeen and her birthday was the following day–June 26. Being so in love the two could not wait another second to be married. In order to keep from lying when the couple arrived at the courthouse, the young lady did something rather clever. Knowing she would be asked whether or not she was over eighteen, she placed a piece of paper with the number “18” written on it in the bottom of her shoe. Standing over it, being asked if she were over eighteen, and answering it affirmatively was, technically, not a lie. So, the young couple was married on the day before her eighteenth birthday. 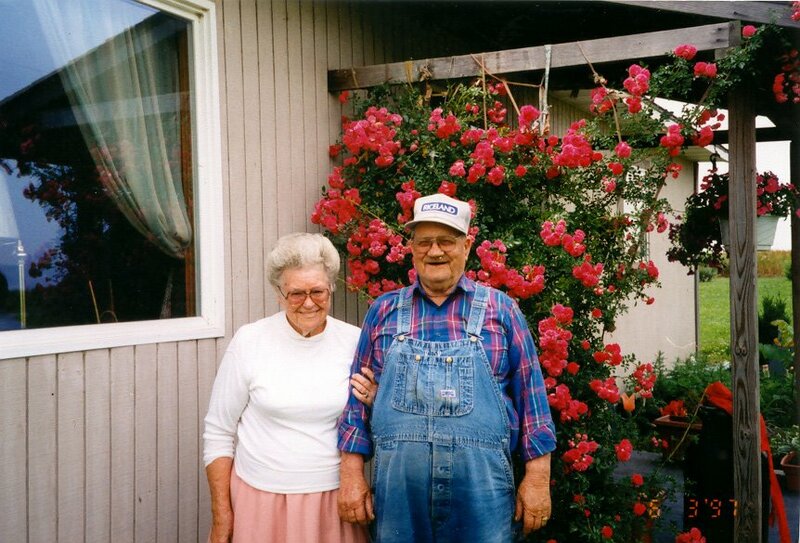 To this couple were born eight children and one hundred grandchildren and great-grandchildren. I am proud to say that I am a result of this union. These two people were my grandparents–Frank and Effie Willett. Their fifth child is my mother–Jane Sue Fenimore. This is one of the many stories I heard growing up in the Bootheel of Missouri. It was a story that brought me closer to my grandparents and brought a little bit of humor to our lives as a family. It makes me smile, so I thought I would share the story with you. Coincidently, 65 years later in 2005, my wife and I were married on June 25. Instead of giggles 'n grins, I call that giggles 'n tears. It brings back fond memories of our beloved Grandparents. I really miss them!